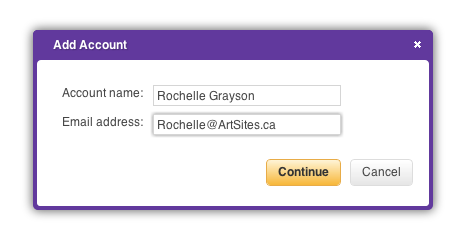 As part of the ArtSites service, we create email addresses using your "official" domain name. We then forward any messages sent to those email addresses to an email address of your choice. 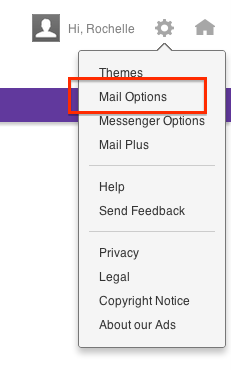 However, if you want to reply using your "official" email address, you will need to make a few changes to your email setup and preferences. 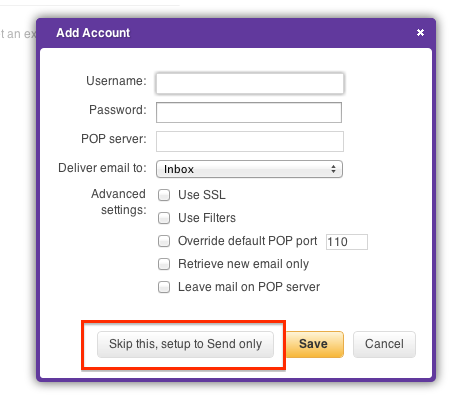 Here are the instructions on how to create "alias" email addresses, using Yahoo! Mail. 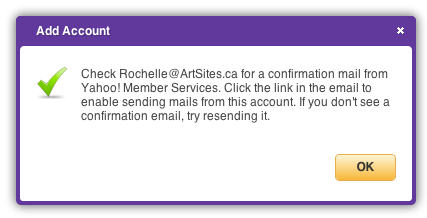 Enter Account Name and Email Address and click "Continue"
When you receive the "Verify this email address" email message, click on the Verify. (However, you may NOT need to verify your new email address.) Read the email closely and follow the instructions! Your new email should be setup once it's verified and confirmed.